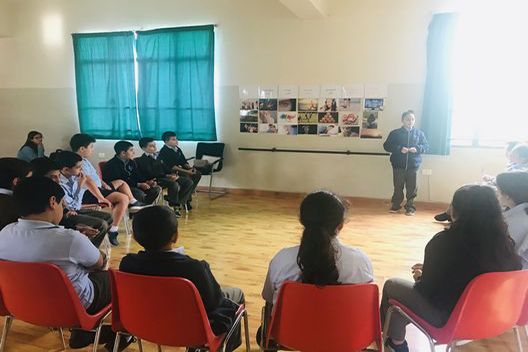 Under its prevention program, Cénacle de la lumière CDLL reached up to 564 students with life skills sessions focusing on topics such as Getting to know each other, Accepting and respecting others, Self-awareness and Self-Esteem, Emotional regulation, Decision making, Problem solving and Empathy and Caring for others. CDLL also held a substance abuse awareness conference addressed to around 100 parents. The preventative goal at CDLL is to help young students stay away from bad behavior by focusing on the skills they already have with the hope of growing a drug free generation. 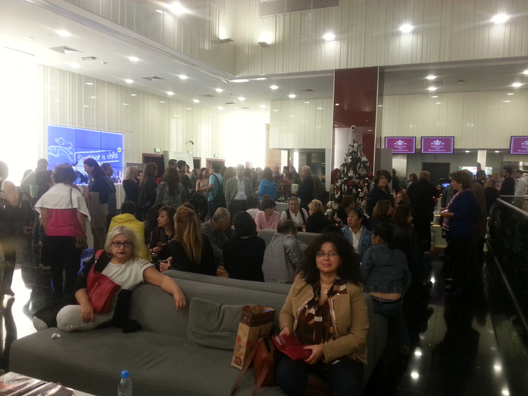 Like every year, on the 20th November, the volunteer committee organized a Christmas fair at le Gabriel Hotel. 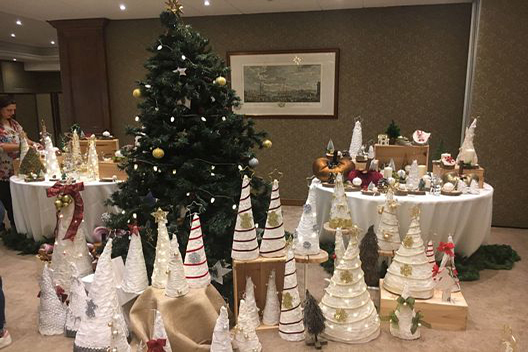 The crowd admired the beautiful Christmas trees, the angels and the pumpkins that were all handmade by our generous volunteers. We would like to thank the administration of the hotel for its generosity, as well as Mrs. Carole Ighniades, Mrs. Caroline Ayoub, Ms. Christina Ayoub, Mrs. Tina Kahale and the artist Mrs. Carole Ingea for their fantastic support with this event. Summer camp for DPE students with Spanish, French & Lebanese activities organizers. My name is Marie Chidiac, and I was a student in the English classes here at Paradis. As it opened new doors for our children, for a better future, Paradis d’Enfants school opened a new opportunity for all of us. Besides learning proper English and taking advantage of these constructive sessions, it was an honor to have a wonderful, helpful and a very adorable teacher, Miss Josiane. And as for you ladies, it was a pleasure spending this precious time with you. We had each other’s back while still having a great time. Let’s take the time to thank each and every person that has put an effort for this successful session. Ladies we should be proud that we took this chance seriously to improve ourselves socially and culturally. On behalf of all of us once again, thank you. 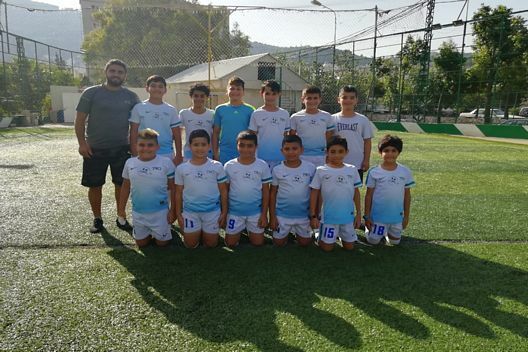 The FPSC foundation run by Mrs. Rima El Khoury Katbe (Head of CSR & Corporate Partnerships) & in partnership with Real Madrid are supporting the PDE football team which consists of 3 groups of students. They provide the coaches with continuous trainings. 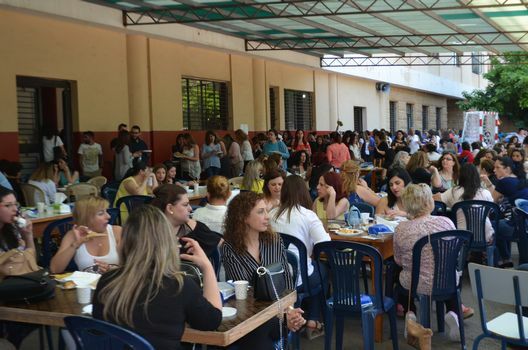 In order to celebrate the International Day of Families, the Paradis d'Enfants Parents and Students Affairs Committee, organized a traditional "sobhiye" revolving around the Lebanese Heritage theme. This gathering was filled with traditional costumes and accessories as well as a delicious range of meals and delicacies. Other surprises awaited the public including diplomas distribution to our students' mothers who undertook English and Computer classes, a lottery draw, and many other gifts. Thank you very much to all our sponsors and donators who supported this event and proved that community work always leads to success. Following our fundraising raffle, we are pleased to announce that Mr. Osmat Abi Nasr has won a brand new Citroën C3 car with full insurance! We would like to thank you all for your generous contribution and for participating. This has helped us in raising more funds for our students and keep our school going! 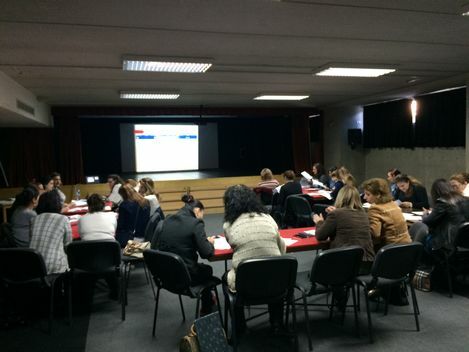 On January 19th, 2018, parents of PDE students started a 9 - session training entitled "Digital Literacy Training and Internet Security”, improving parents’ digital skills as well as their awareness of safety and security in the digital world. "Growing Together" is our vision, and what better way to achieve that goal! 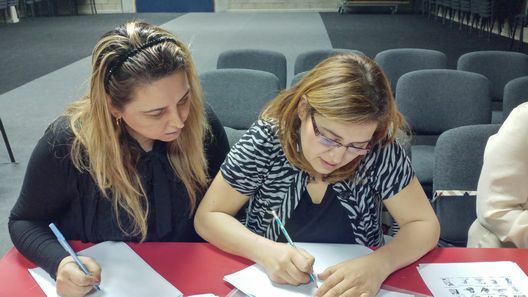 By empowering the parents of the students at Paradis d'Enfants with English classes, we've helped them improve their skills and learn a new language that they can help their children with! Paradis d’Enfants held a dinner at Dièze restaurant to celebrate Teacher’s Day. br /> This year’s theme was “On the road to Heritage”. The teachers dressed in Lebanese traditional and folk clothes and danced Dabké. br /> The event also lauded teachers for their commitment and accomplishments. 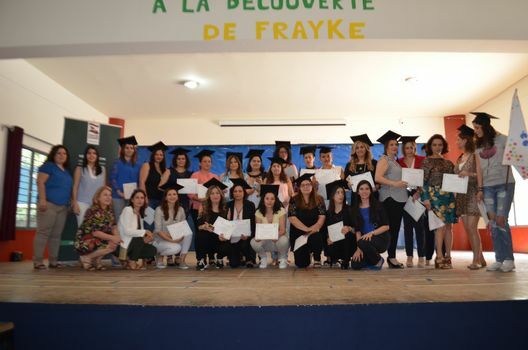 Trophies were distributed to the teachers who have been part of the Paradis d’Enfants family for 10 and 20 years in recognition of their dedication to the organisation’s mission. Paradis d’Enfants is launching a raffle giving participants a chance to win a Citroën C3 BVA 6 -including a one year all-risk insurance offered by Commercial Insurance. Your participation not only gives you the chance to win a new car, but also helps in funding education for children in need! Note that winners do not need to be present at the final draw to claim their prize. 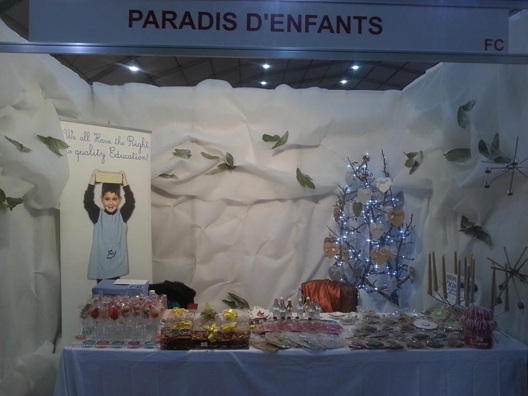 The Paradis d’Enfants Christmas exhibition was a huge success! We would like to thank our loyal visitors and everyone who has contributed to this event. 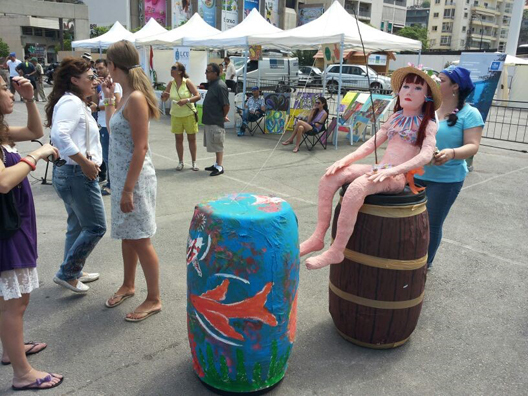 A special thanks to the members of the Volunteer Committee Carol Ighniades, Mia Ighniades, Tina Kahale, Samia Bakhos, Caroline Ayoub, Raffaella Ayoub, Marianne Emad, and Mia Ighniades for their hard work and dedication, and to the artist Nevine Bouez for her fantastic artwork. All proceeds raised from the exhibition will go towards our mission to offer access to quality education to children from disadvantaged backgrounds. 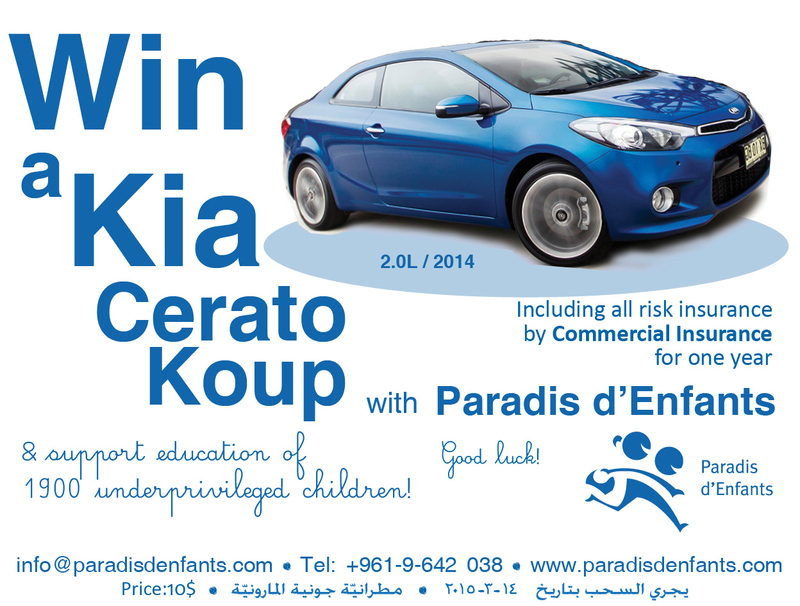 Paradis d’Enfantsis launching a raffle giving every participant a chance to win a Peugeot 301, including all risk insurance offered by Commercial Insurance for 1 year. Your participation not only gives you the chance to win a new car, but also helps in securing education for children in need! Paradis d’Enfants hosted its annual fundraising dinner at Khaymet El Hor – Mzaar Intercontinental, on Friday, August 12, 2016. 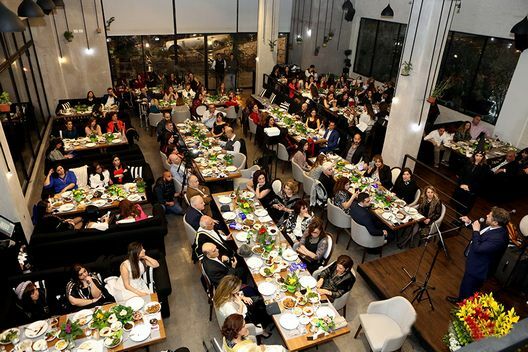 A cheerful crowd met in a pleasant atmosphere to support the association’s mission to provide all children with equal access to quality education. And a special thanks to our sponsors who made this event a success! Paradis d’Enfants’ Friends and Bus Drivers’ Committee joined together to raise funds for the association on 15thApril 2016. 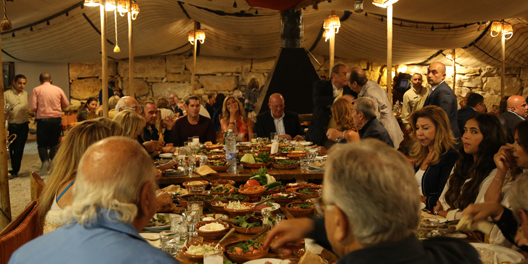 The dinner, held at Manarit Al Khalij restaurant in Maameltein, was a huge success thanks to the supporters and sponsors. The fundraising dinner was organized to support the association’s mission to provide underprivileged children equal access to quality education. PARADIS D’ENFANTS invites you to decorate your Christmas this year with a whole set of beautifully hand-crafted wooden Christmas snowmen! For every set bought, we will give a book for a child in need. 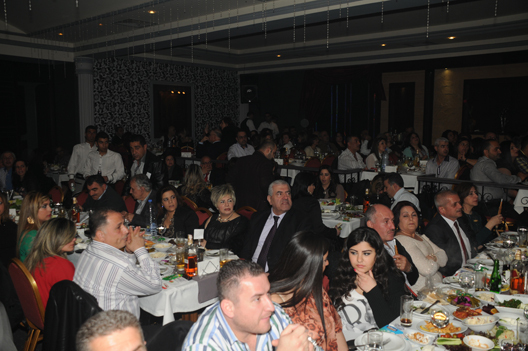 The big Christmas charity event took place on Sunday 13 December 2015 at Mtayleb Country Club. All proceeds collected during the successful event helped buying presents for Paradis d'Enfants students. 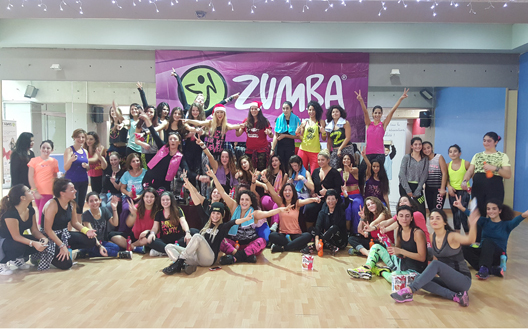 Thank you SOLINE & DIDEM ZEYBEK and a big thanks to all sponsors and to all who have participated in this event. 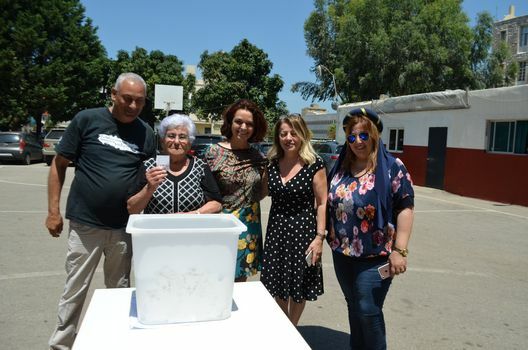 Congratulations to Joya Maria El Khoury who participated in our fundraising car raffle and won the brand new Kia Cerato Koup 2014, including one-year all risk insurance provided by Commercial Insurance. The final draw was held during a fundraising dinner on 14th March 2015, at Manarit Al Khalij restaurant. The evening was organized by Paradis d’Enfants’ friends and the Bus Drivers’ Committee. The Archbishop Antoine Nabil Al-Andari drew the lucky number. 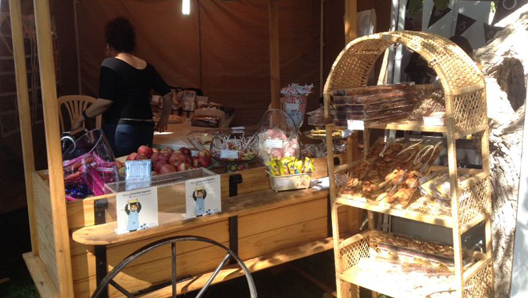 This year's Paradis d’Enfants Christmas exhibition was held at BIEL from 17-21 December 2014. On this occasion, the volunteer committee created a set of beautifully handmade felt fabric hearts and Paradis d’Enfants’ preschool children cooked and decorated Christmas cookies with Mrs. Joyce Sakr. All products were sold at the Christmas fair and all proceeds collected during the 5-day event will help support PdE students. Paradis d’Enfants booked two movies this year on Tuesday 11 November 2014 at Grand Cinemas, ABC Dbayeh, “The Good Lie” and “Dumb and Dumber To”. 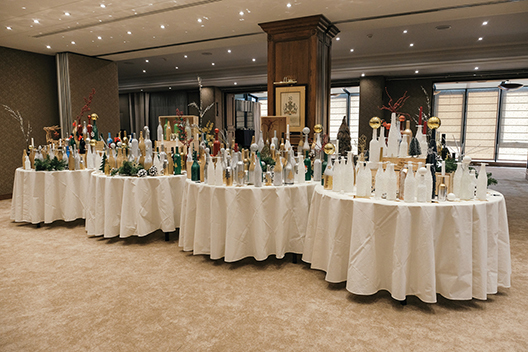 The event was successful thanks to hundreds of supporters and friends who attended and to our loyal wine sponsors “Maison du Sommelier” & “Al Kazzi” who offered wine and nuts to all attendees. Funds raised from tickets will help us school children from underprivileged families. 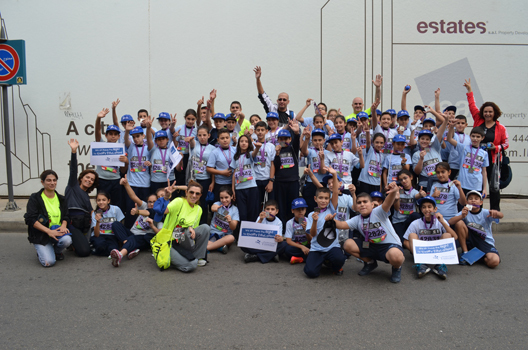 On 9 November 2014, Paradis d'Enfants students took part in the Beirut Marathon and ran for their rights to quality education! "To provide all children with equal access to quality education”. 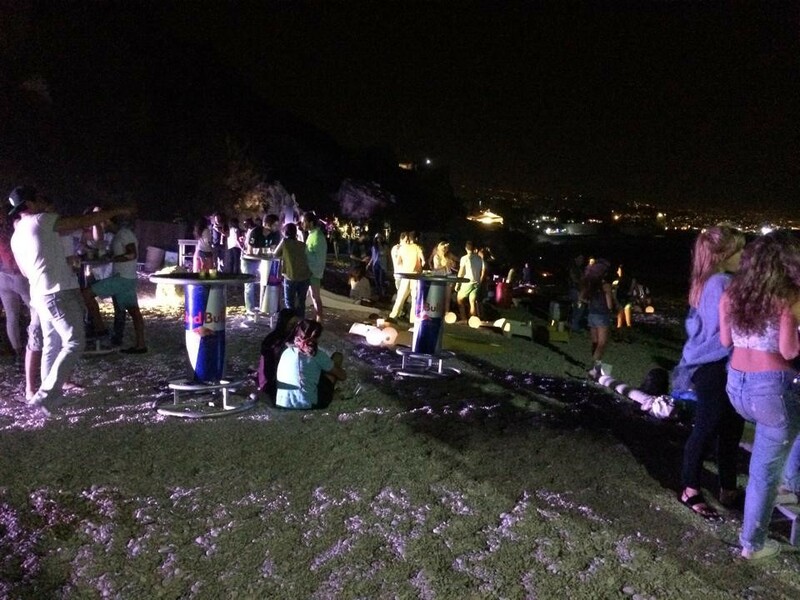 A group of volunteers from several backgrounds joined their efforts to raise funds to Paradis d'Enfants by organizing a gathering by the shores of Jbeil for all music and nature lovers to spend an enjoyable night. The night consisted of a cool line up of Lebanese bands followed by a jamming session opened to all. An exciting D.J. set then followed and closed the night. A big thank you to all the volunteers and the sponsors who made this event happen! This year’s Mzaar Exhibition was a success! We thank all who visited Paradis d’Enfants’ stand at the annual Mzaar Exhibition from 13 - 17 August 2014. All proceeds collected during the 5-day event will help support students and fuel our mission to provide all children equal access to quality education. 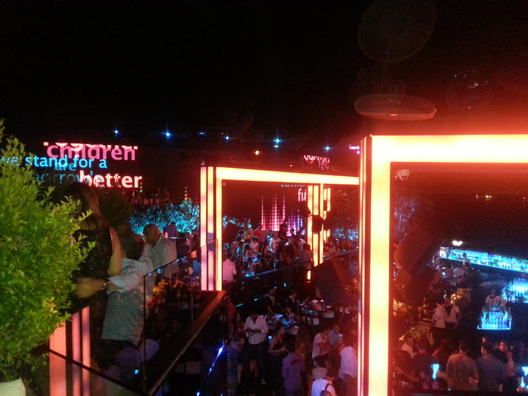 Paradis d’Enfants hosted its annual fundraising event “Cheers to Education” at Skybar, Beirut on 14 July 2014. More than 1000 supporters attended the concert and enjoyed an enchanting and unforgettable night of music. We are very grateful to our sponsors who helped make this successful night possible including, Rim, Abi Nasr, Diageo, Al Kazzi and Pepsi. 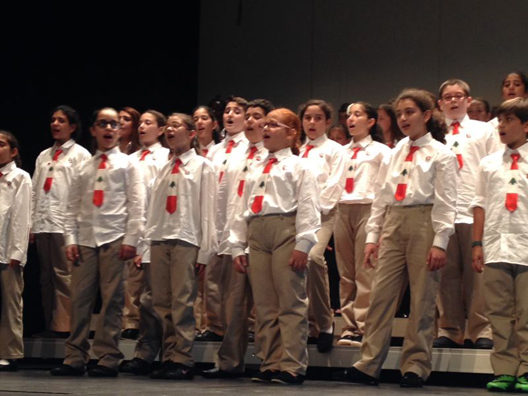 The Swiss association “Marche pour la Paix” and the children of the Scala Choir hosted 31 children from Paradis d’Enfants’ choir from 28 June – 6 July 2014 for a cross-cultural experience, tourism, and musical week in Yverdon-Les-Bains, Switzerland. Lebanese singer Fadia El Hage concluded the week with a memorable concert on 5 July 2014 that attracted more than 500 attendees. Paradis d’Enfants’ children would like to thank every person; organization and association that helped make their dream come true. Paradis d’Enfants participated in “Green Day” contest, organized by Jounieh International Festival 2014. The contest took place from 4 – 6 July at Fouad Chehab Stadium. We are happy to announce that we have come in third place in the two-day competition. 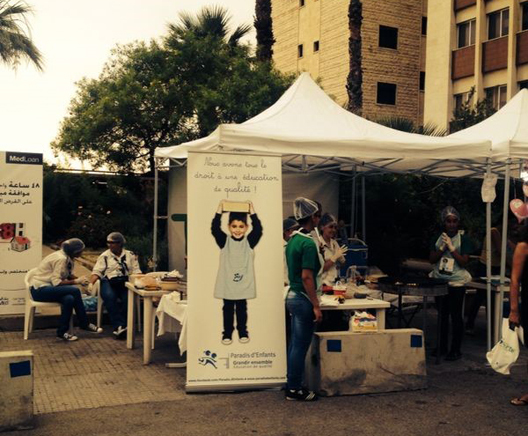 Paradis d’Enfants scouts prepared and sold ‘manakeesh’ to Jounieh International Festival attendees from 27 June – 13 July 2014 to raise funds in support of the non-profit organization’s mission. We thank all the attendees that encouraged our scouts’ efforts and contributed to our cause! Thank You for Making the "Face à Face!" Play a Success! 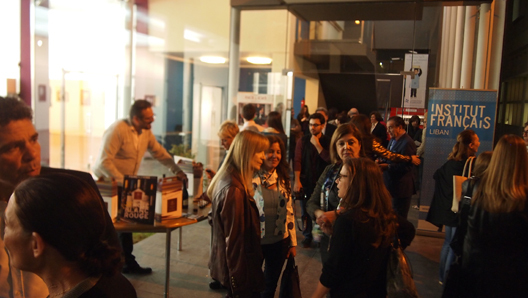 Face à Face play brought together almost 300 attendees on 9 April 2014 at the Institut Français du Liban. We would like to thank all Paradis d’Enfants’ friends and donors, including the “Free-Vol” company and our loyal wine sponsor, La Maison du Sommelier, for their contributions in making this event a success. Proceeds will help students in need and fuel our mission to provide all Paradis d’Enfants children equal educational opportunities, in line with our organization’s mission. 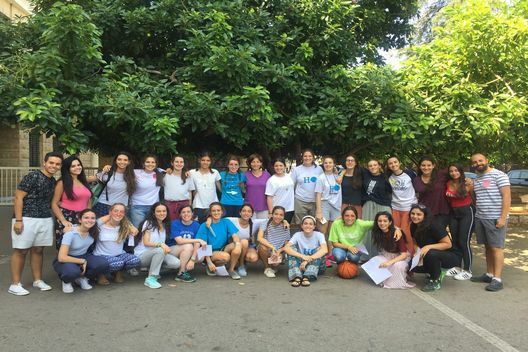 Casper & Gambini’s in Hamra, helped to educate Paradis d’Enfants’ students, in March, by donating a fixed percentage of all restaurant sales to the association. We deeply appreciate all donations and contributions. Thank you Casper & Gambini’s! Paradis d’Enfants, friends, and the Bus Driver committee celebrated Saint Joseph Day on Saturday, 22 March 2014 at the Plaza Palace restaurant in Tabarja, Lebanon. The fundraising event hosted over 400 attendees and supported the association’s mission to provide all children with equal access to quality education. The event featured surprises, games and prizes, as well as a raffle. We would like to thank every person who contributed to making this event successful. 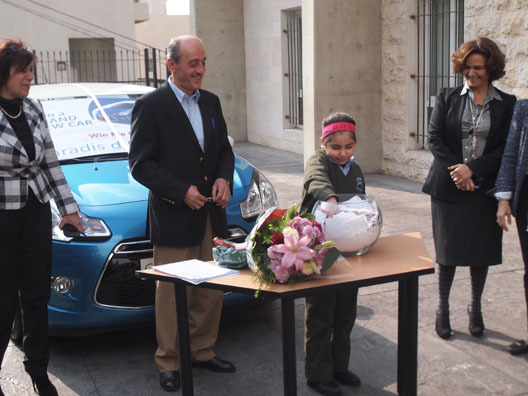 Congratulations to Abir Jbeily (Ticket number 3551) for winning a new Citroen with Paradis d’Enfants’ car raffle. Abir will also receive all risk insurance for one year offered by Commercial Insurance. During the final draw, which we held on Wednesday, 29 January 2014 at Paradis d’Enfants - Haret Sakher School, one of our students picked the lucky number supervised by the National Lottery. Proceeds from ticket sales will help educate 1,730 Paradis d’Enfants students. We would like to thank everyone who helped in making this event a success!